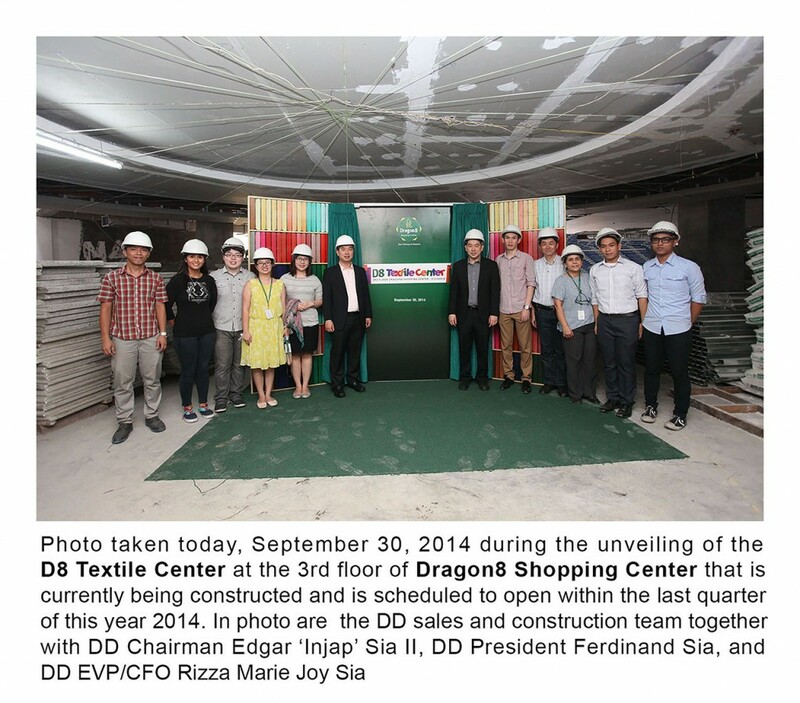 DoubleDragon Properties Corp officially launches D8 Textile Center at the 3rd Floor of Dragon8 Shopping Center, which is currently being constructed and renovated, located at the heart of Divisoria along C.M. Recto and Dagupan Streets in a corner lot in one of the rare most prime areas in Divisoria. D8 Textile Center is envisioned to be the new textile shopping destination and a one-stop shop where shoppers can find the best fabrics at wholesale prices. The center will offer a large selection of wool fabrics for suits and cotton for shirts and a complete assortment of textiles and draperies. D8 Textile Center will be designed for optimum efficiency and is envisioned to be the most modern textile hub in Divisoria. Dragon8 Shopping Center is currently undergoing construction and renovation and is targeted to open on the 4th quarter of this year, just in time for the Christmas shopping rush. Dragon8 Shopping Center will have a total of six (6) floor levels and about 3.3 hectares of total building floor area. The ground floor will have a supermarket and various retail shops while the second floor will have sections for electronics, gadgets, children’s toys and apparel, men and women’s apparel and accessories, gifts and decors, and various types of services and an amusement center. The fourth to sixth floors will be allocated for parking, and will have more than 600 parking slots to serve the increasing demand for parking spaces in the area and provide convenience and safety to the shoppers. 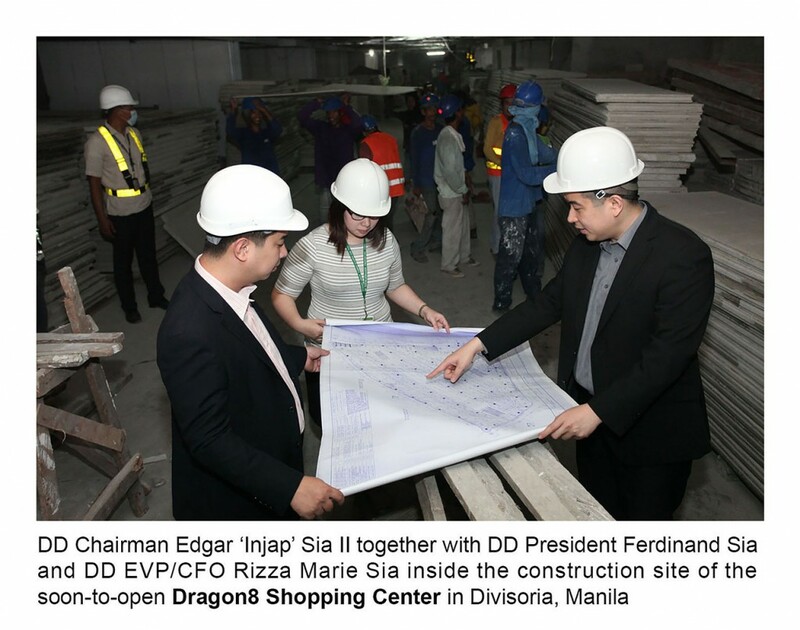 Dragon8 Shopping Center is envisioned to be the gateway to Divisoria and a go-to place for shoppers.